Easy, Repeatable, Accurate, Fast. Trusted. 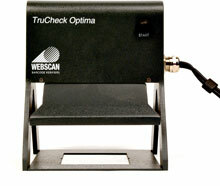 The Webscan TruCheck Optima from Webscan provides a fully integrated and handheld TruMatrix imaging head that connects to a PC through the USB port. To verify 1D or 2D symbols, simply position the imager over a barcode and press the button. Clear and concise results are displayed instantly. The graphic interface shows operators clearly where potential problems exist. 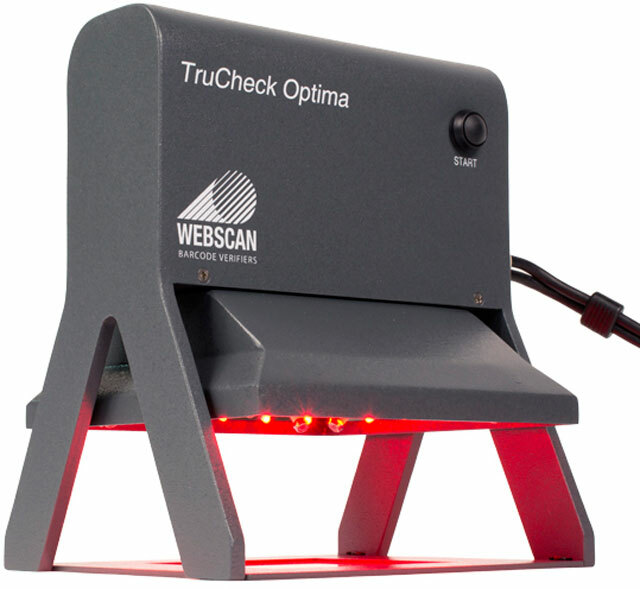 The TruMatrix imager features integrated illumination and a rugged housing. There is nothing to focus and nothing to align. You are guaranteed the most accurate and repeatable verification results. 's VHD TruCheck Optima is designed for barcodes with very small x-dimensions. This verifier can verify codes as small as 3.3mil x-dimension. The Optima +Plus can verify both 1D and 2D codes but gives operators more versatility with its large field of view measuring 70 mm x 52 mm. 's VHD TruCheck Optima is designed for barcodes with very small x-dimensions. This verifier can verify codes as small as 3.3mil x-dimension. Must purchase (Part# 4744), (Part# 4899), or (Part# 5136) calibration card with this verifier. 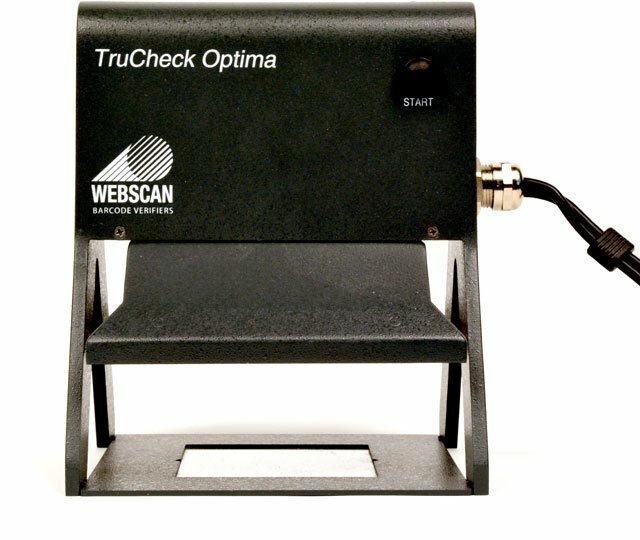 This unit has all of the same capabilities as the TruCheck 2D DPM verifier but allows users to verify down to 5mil x - dimension but has a smaller field of view. Must purchase (Part# 4744), (Part# 4899), or (Part# 5136) calibration card with this verifier. The Optima +Plus can verify both 1D and 2D codes but gives operators more versatility with its large field of view measuring 70 mm x 52 mm. Must purchase (Part# 4744), (Part# 4899), or (Part# 5136) calibration card with this verifier. 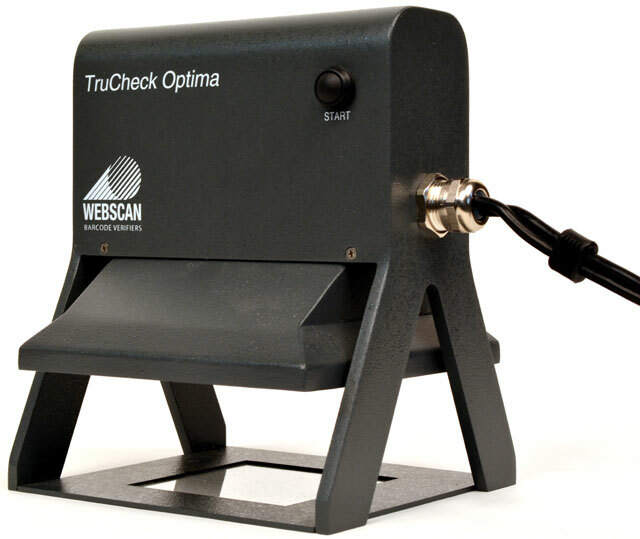 This unit has all of the same capabilities as the TruCheck 2D DPM verifier but allows users to verify down to 5mil x-dimension but has a smaller field of view. 20 mm x 15 mm Field of View. Must purchase (Part# 4744), (Part# 4899), or (Part# 5136) calibration card with this verifier. The XD Optima will verify 1D and 2D barcodes that will fit in a field of view the size of 51 mm x 38 mm and have as small as 6.6mil x-dimensions. Must purchase (Part# 4744), (Part# 4899), or (Part# 5136) calibration card with this verifier. Verify 1D and 2D codes printed in the red spectrum with the added benefit of a larger field of view measuring 70 mm x 52 mm. This unit will also verify barcodes printed in other colors but has a special lighting option to allow the best results when using ink in the red hues. Must purchase (Part# 4744), (Part# 4899), or (Part# 5136) calibration card with this verifier. 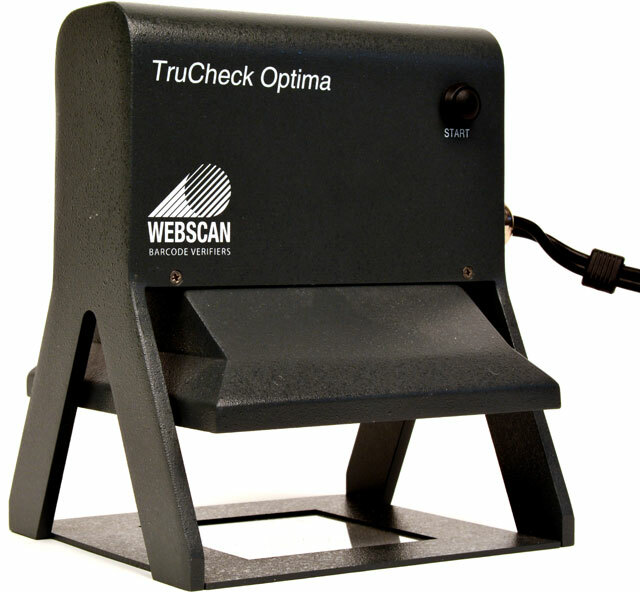 The TruCheck Optima features integrated illumination and a rugged housing. There is nothing to focus and nothing to align guaranteeing you the most accurate and repeatable verification results. The TruCheck Optima has a large field of view to accommodate both linear and 2D barcodes. Must purchase (Part# 4744), (Part# 4899), or (Part# 5136) calibration card with this verifier.